As most of you are aware we have had several staffing changes and I have appreciated that parents have called by and had a conversation with me around the changes. The changes brought about some negative social media interaction from within the community, which I find very disappointing. Our staff move on for many reasons and they are entitled to privacy in their lives as well. We always ask how much or how little they would like the wider community to know and try to respect this. Changes will continue to happen for all sorts of reasons and at Grow it is our intention that those who leave us whether staff or families, will always know the door is open to come and visit us at any time. We also really enjoy children coming back and letting us know what is happening in their lives, and I suspect they love coming back too. Shortly we will be requesting information around your Christmas/New Year plans. This year there will be a two-week window of time for you to decide on when your children will be in. This information informs what staff we need to have available. As children move on to school they have a special farewell where they get to wear the Grow korowai and the following story read to them. This cloak was crafted and gifted to our Grow whānau. As you go to school you are honoured for the time you have spent with us, by wearing it. Today we celebrate your journey with us at Grow. The body of the korowai represents the feathers that have insulated you and kept you warm, seen you grow and are now helping you to fly from us as you begin a new and exciting journey. Your collar of black feathers will protect you and give you kaha (strength) in your life. The golden strands symbolise the wealth of knowledge gained and the high regard we hold you in. Five pieces of paua, one for each year of life to date. Like drops, they represent Tangaroa the god of the sea who separated Papatūānuku (our earth mother) and Ranginui (our earth father). So too we must now separate from you, and you from us but always remember like paua, we will adhere strongly to our belief in you for all your years to come. Ka kite ano. Grow relievers now wear uniform. This is a direct result of feedback whānau gave us, so thank you for that. You might also see other staff in rooms without uniform. These teachers may be employees from the Ministry of Education, student teachers on practicum or volunteers. Educational Support Workers (ESW’s) employed by MOE sometimes work alongside children too. For example, some of you may know Selma-Jean. She recently had her last day with Grow and we celebrated her contributions to Grow last week. Students on practicum and relievers from agencies will generally have an introduction page with their photo on it and we place this up on the door of the room they are working in. Teachers recently attended a seminar on play-based learning and we will be hosting an evening early next year, on how we deliver our curriculum at Grow. ERO identified in our recent report the importance of having a local curriculum. 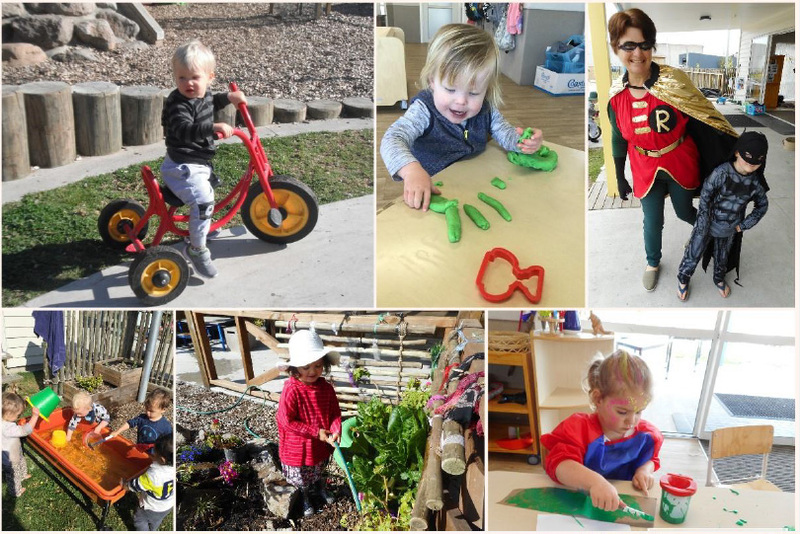 We see the development of this being a partnership between parents’ aspirations for children, and the teaching and learning we do alongside children. We hope it will be interactive and you have opportunities to discuss your thoughts and ideas on what you value in terms of your child/ren’s learning. We have a diverse community attending Grow ECE and wondered what you celebrate in your culture? We have embraced the opportunity to celebrate Easter and to celebrate birthdays and Christmas. We would like to learn more about what is important to your family and how we can incorporate this in the learning programme here at Grow. Please call in and see Robyn or Tanya if you would like to introduce a little of your culture to us. Golden Sands Festival – Fun Run/Walk – Saturday 10th November – 9am, Golden Sands School Papamoa. Grow will be there, so come on down and see us.